President Emmanuel Macron’s decision to retreat behind the restoration of law and order is the latest in a series of tepid answers to the movement. Rather than confront protesters’ demands for social change, his policies – including the recent decision to mobilise the army – have instead categorised the protestors as an angry mob from which society must be defended. Macron has made an incendiary move in an explosive situation. 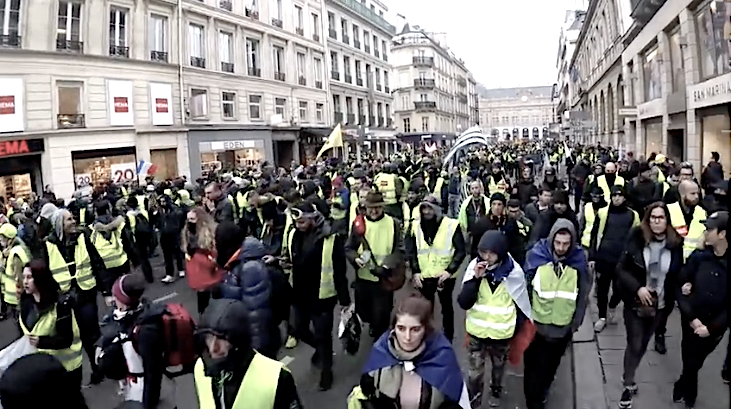 While he attempted to quell unrest with a “Great National Debate”, his approach has failed to pacify social and economic tensions – most of the protestors and many of the French population think the great national debate will bring little change. The struggle against Macron’s austerity measures requires workers to take up the fight for a socialist program, and to build the Parti de l’égalité socialiste(PES), the French Section of the International Committee of the Fourth international. The writer is a European correspondent with wsws.org, a socialist publication.